The short answer to the question for thrifty fans is yes, you can bring food into Wrigley Field from outside. The Cubs allow a 16*16*8 soft-sided bag (which is pretty big), so long as it doesn’t contain alcohol or projectiles. So what does this mean for you? In addition to bringing in peanuts and bottled water, which is easy to find anywhere outside, including at the Addison Red Line station, you have a few places near the ballpark to load up on Cubs game sustenance. 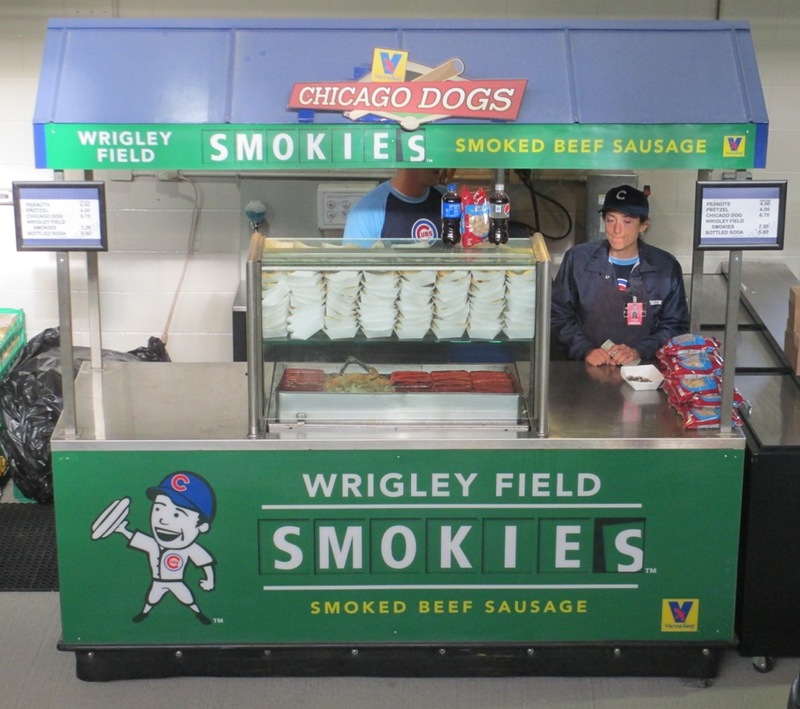 Is there an “unofficial” hot dog of the Cubs? 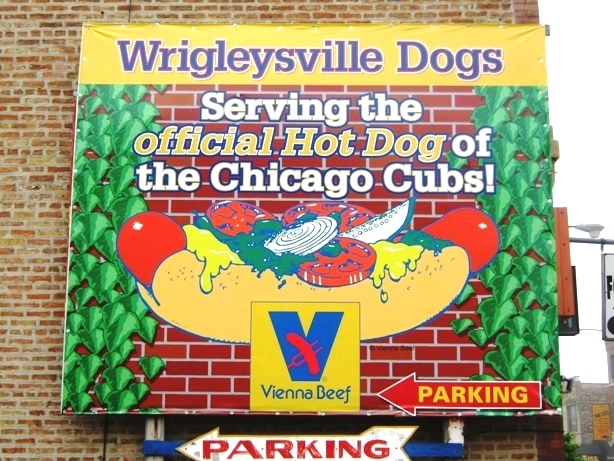 Bring Food Into Wrigley Field, Stop #1) Wrigleysville Dogs. Yes, that’s an “S” in the name. Probably some legal thing. Wrigleysville Dogs is a few steps north of the ballpark on Clark Street, and it’s a great place for super cheap grub – like that classic Chicago dog dragged through the garden. You can park in their lot too, if you’re early enough, but that part isn’t cheap. 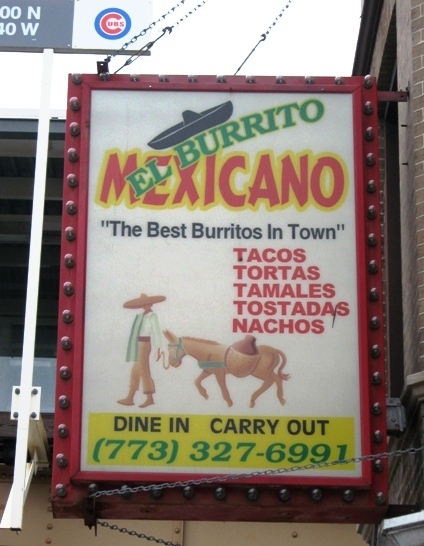 Translation: “Mexican Burrito”. Took all night to come up with that name. Again, super cheap, but keep in mind that it’s cash only and very popular with fans. Get there early before it gets packed if you can. The store is just a block away from the stand inside the ballpark. 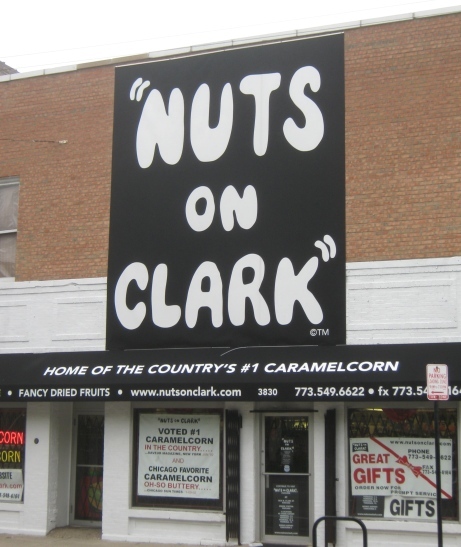 Bring Food Into Wrigley Field, Stop #3) Nuts On Clark. There is actually a Nuts On Clark outpost inside Wrigley Field as of this writing, but you can order your gourmet popcorn right there at the store on Clark Street, and it’s cheaper than in the ballpark and has a wider selection. It’s a very short walk from Wrigley, but it’s only open during the day, so use this one for day games.